Many patients having joint replacement surgery are curious about which activities are safe to perform after their surgical procedure. While doctors often recommend specific sports which should be safe and those to avoid, there is remarkably little scientific information about which are safe. Most advice is based on opinion rather than on actual data. That said, there are some guidelines to help patients determine which activities are safe. Cycling: Riding a bicycle outdoors or using a stationary bike indoors is an excellent way to strengthen your new knee. It's best to start with riding on the flat or using a lower tension for an indoor cycle. Swimming: Enjoying the pool won't put any weight on your joints and you can get an aerobic workout. You can begin swimming as soon as your stitches have been removed and the wound is healed. Walking and hiking: Walking is highly recommended for your recovery. 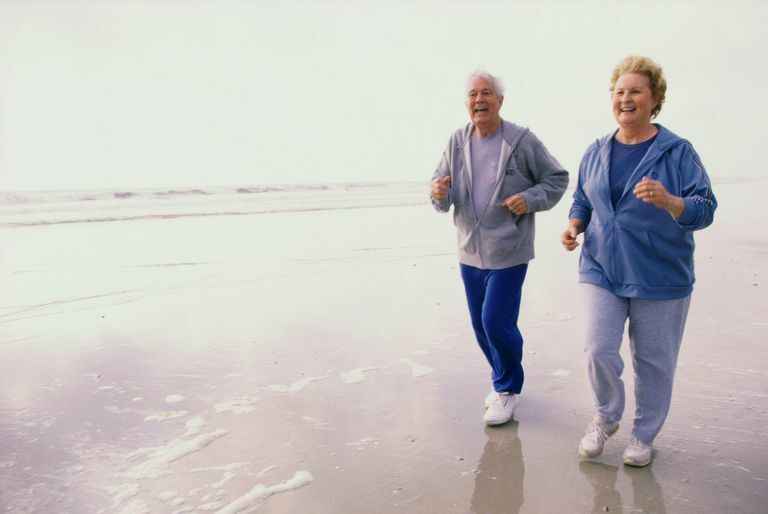 If you've been a runner, you may want to enjoy the lower impact of walking after a knee replacement. Calisthenics (gentle aerobics-style exercises): It is good to keep your body in shape with strength and flexibility workouts that are low in impact. While you may love Zumba, you'll need to stick with lower impact moves and avoid twisting movements. Low-resistance weightlifting: Keeping your muscles toned is an important component of fitness. Low-resistance rowing: You'll get a good upper body workout, but you will need to set the machine so your knee angle is greater than 90 degrees. Skiing and elliptical machines: Like cycling, there is no impact but you can get a good aerobic workout. One study on golf after knee replacement found that the golf swing places higher forces than jogging on the knee implant. Specifically, the forward knee of the golfer is stressed significantly during the golf swing. Therefore, patients should be cautious about playing golf after a knee replacement. If you want to return to a higher impact sport or fitness activity, the results of a study reported at the 2010 annual meeting of the American Academy of Orthopaedic Surgeons is very encouraging. They found that patients who returned to a high-impact sport or heavy manual labor had the same differences in the durability of the implants as those who followed recommendations to avoid those activities. The researchers noted that prostheses are better-made and stronger than those produced in the past. However, they did find that powerlifting was bad for the knees. This follow-up was after 7 1/2 years and other experts would prefer to see what a longer follow-up will find. These lists are meant to give patients an idea of what to expect if they undergo knee replacement surgery. Discuss your goals with your doctor and when you might return to your favorite activity or what new activities you can consider. Colwell CW, et al. "In Vivo Knee Forces During Recreational Activities After Total Knee Arthroplasty" Presented at the annual meeting of the American Academy of Orthopaedic Surgeons, San Francisco, March 5-9, 2008. Parratte S, et al "Does participation in not-recommended sports impact total knee arthroplasty durability?" AAOS 2010; Abstract 507. Rogers C. "Survey: Unlimited low-impact activity 'OK' after TJR" AAOSNow Jan 2009, Vol3, No 1. Page 1.